Everything in life is for sale. Including you. Whether you’re looking for a job or a promotion or just meeting someone at a restaurant, you’re selling yourself all the time. So how’s your elevator pitch? They say the most effective listening takes place within the first 30 – 60 seconds of a conversation. That’s pretty quick. After that, your listener may have already you tuned out. Even before that, experts suggest that as soon as someone lays eyes on you – they’ve already made an opinion about you. Oh well. So much for unbiased opinions! It’s up to you to make a great first impression – quickly. This natural phenomenon has startling implications for the job seeker unprepared for an interview, the new co-worker making introductions, or the employee late for work and rattling off excuses to upper-management. 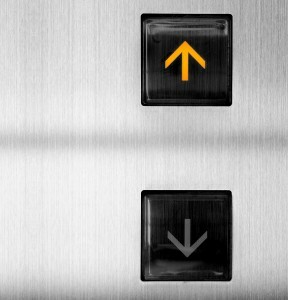 But here’s where the basic tenets of the elevator pitch can help. 1) Be Clear: Don’t mumble, speak up, measure the tone and flow of your sentences. 2) Be Brief: Simplify. Less is more. 3) Be Evocative: Bold words! Transform your message with powerful statements. 4) Be Targeted: Know your audience. Don’t say anything inappropriate. Think about who you’re talking to and their status position relative to yours. 5) Be positive: It should go without saying. No one wants hear your depressing drivel. It should be noted that this list also functions as a complementary set of rules that can be used throughout one’s career, or even life. If life is sales, then sales is one elevator pitch after another. Start selling.